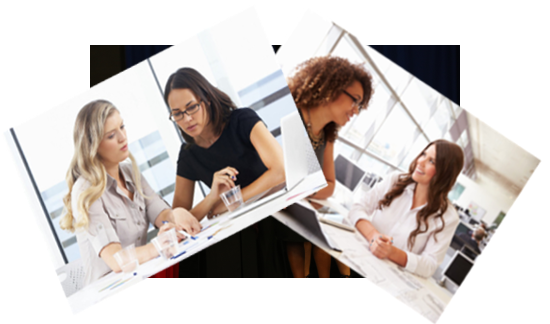 Connect, Empower and Inspire with the WomELLE Mentor Program (WMP)! Join us now to build and grow your professional network through mentorship. Whether you're a mentor or a mentee, you'll find mentoring to be a rewarding part of your Life experience. The WomELLE Mentor Program involves the match of a volunteer woman leader and another woman. The mentors are community members from a variety of occupations who serve as friends, coaches, and guides. The mentors are both role models and resources. Both the mentee and the mentor commit to meeting with each other a minimum of twice per month for one year. The mentee and mentor work together on personal, academic, career exploration or business goals that the mentee would like to achieve during the one-year relationship. There is no cost involved with the program but we do charge mentees a $25 sign up admin fee. You may make a donation to WomELLE for a Cause on our donation page but it is not an obligation. WomELLE for a Cause is a 501c3 and so all donations are tax deductible. All we ask is for participants to keep an open mind and be patient with themselves and their mentor. We, humans, make mistakes. Be honest with yourself and share your honest feelings with your mentor. We might not always have the answer, but we will do our best to find it. This program is staffed by volunteers who are wanting to help you and other women. Thank you for your commitment and time as we build a stronger mentoring program! Apply to find a mentor or volunteer to serve as a mentor by July 20, 2018. 20 July - Register to volunteer as a mentor or to request a mentor. August 31, 2019 - Program ends.